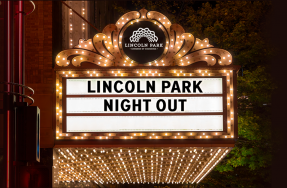 Head out for lunch and find a table at one of Lincoln Park’s great restaurants. Whether you’re meeting a potential client or treating your staff on a job well done, Lincoln Park has the perfect spot to share a midday meal. 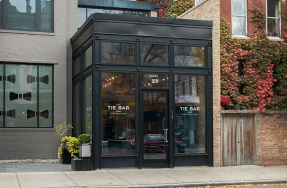 Devour 312 is a neighborhood kitchen and bar featuring an eclectic array of award-winning burgers, hearty sandwiches, craft beers, cocktails, and everything in between. Earls Lincoln Park’s chefs prepare fresh, made-from-scratch dishes inspired by international cuisines and locally sourced ingredients. Yard House’s extensive menu is sure to please all tastes, and if lunch leads into Happy Hour, their signature island bar features more than 100 taps of the best American craft and import beers. The Galway Arms prepares traditional Irish fare, which it pairs with local and imported beers, wines, and spirits. Nando’s serves traditional South African chicken, marinated in PERi-PERi sauce for 24 hours before flame-grilling to order. The first Lettuce Entertain You restaurant, R.J. Grunts still exudes the funky, devil-may-care lifestyle of the 70s in its style, décor, music, and menu. The Original Pancake House is a second and third generation family business dedicated to the art of breakfast any time of day. Located in the historic Theater on the Lake building at Fullerton, The Lakefront Restaurant is an upscale tavern with seating for 125 at intimate tables, communal seating and a lounge area. At Aloha, their Poké is always prepared fresh with generous amounts of tuna or salmon lightly marinated in our secret sauces and ingredients. A delicious and healthy lunch option. Broken Taco’s menu stars both traditional and modern tacos – alongside creative cocktails, Mexican sodas and micheladas – in a wildly colorful, art-filled storefronts with seasonal outdoor seating. Chicago Halal offers traditional gyros and falafel, and also makes homemade hummus and baklava. Derby is home to one of the oldest post prohibition bars in Chicago dating to the late 1920’s. Their southern menu sources some of the finest local ingredients and features favorites such as Gumbo, Jambalaya Fritters and their signature Kentucky Hot Brown. Devil Dawgs serves up real Chicago-style hot dogs, together with burgers, fries, and shakes. Bite into the taste of India and enjoy the Indian street food version of the burrito. Lincoln Station pairs a relaxed atmosphere and world class local craft beer selection with great, fresh homemade American fare, made to order. Philly Bros. is more than just steaks! Serving up some of the best American food in the Chicago area. This sports pub features elevated, authentic food and drink recipes from the Carolinas and other areas up and down the Atlantic Coast. Blue Door Farm Stand is Lincoln Park’s neighborhood café and artisanal market. The café features fresh, seasonal food and drink from local farms and farmers’ markets. Budlong Hot Chicken pairs house-made sides with Nashville hot chicken, chicken sandwiches and tenders, and flaky biscuits. Visit CBA to satisfy your all of your bagel needs. From breakfast sandwiches to salads and soups, this Lincoln Park spot has it all. Glascott’s Groggery serves classic Greek food with its large selection of beers and wines. Whether you are looking to watch a game, grab a bite to eat, or simply catch up with an old friend – Kincade’s is a perfect destination. An escape to the warmth and laid-back vibes of the West Coast, complete with beach house décor and a beautiful retractable glass ceiling.